In the interest of creating a company name that reflects the nature of exporting businsess, the name of Pier 91 International Corporation was selected, when Mr. James Yang (the managing director) incorporated the company after leaving his partnership business in 1991. Pier 91 now covers a wide category of products, which includes houseware, licensed gift, home furnishing and garden ware. With the recent expansion into the children's furniture complete range of unique children's room accessories are added onto the company's product line. Hope you will find you virtual tour on this site fruitful and we look forward to your visit at our showroom in Taipei & Donggua, China..
All of our wooden products are made from our own factory, which is an ISO 9001 certified facility. For further information, contact us now. 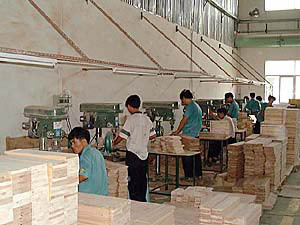 Our factory "Harvest Wood Manufacturing Ltd was founded in 1999, and incorporated in Dongguan City of China. 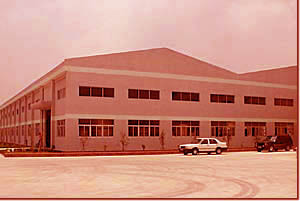 The factory has two single-story plant building and a 3-story administrative office, with a total build-up area of 200,000 square feet on a 350,000 ssq feet land. 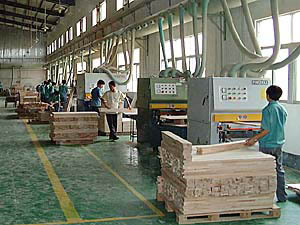 The efficient facility, with a monthly production volume of US$600,000 is equipped with all kinds of wood processing machineries, conveyer painting system and drying klin(see pictures below). Oue juvenile products are designed and produced as furniture. Many similar products in the category are made by toy makers or craft makers, which results in drastic difference in terms quality and durability. Our products comply with the standards of children's products, including CPSC and ASTM. 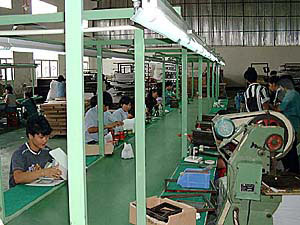 Every product we produce is inspected by both the factory QC teams before shipment; ensuring that all of orders are manufactured according to specification and are delivered on time. 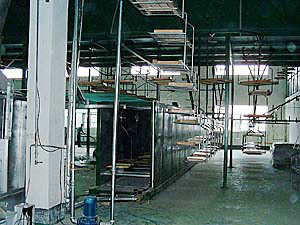 into practical manufacturing to meet customers need. This website was built on July, 2003 and will be updated soon!!! Copyright © 2003 Pier 91 International Corp. all rights reserved.